1. Disband using the Airwaves (TV & Radio) to do political debate 24/7. It is unfortunate for both our local and national media platforms to be dominated by unnecessary political debates. My concern as a Counsellor is that such debates are mostly engulfed with insults and abusive words. Our children and the youth are learning from such amoral and cynical behaviour of political debaters. Again, we waste a lot of time and money on such unproductive debates. Let's use the media waves to educate people about their health especially degenerative diseases such as diabetes, hypertension (Silent Killers) and STIs. 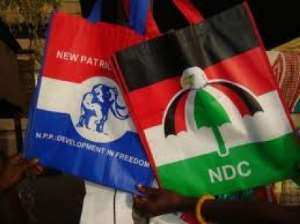 Let's reorient Ghanaians to change their attitudes to become patriotic in their endeavours. For a better understanding of government policies, we should rather engage technocrats to explain them to the good people of Ghana. I suggest communicators for political parties should be allowed to engage in political discourse on media platforms during ONLY election year. I call on H. E. Nana Akuffo Addo and well-meaning Ghanaians to support this agenda.